No lack of supernatural-inflected thrills at two festivals that had lodged themselves at the back of my mind. 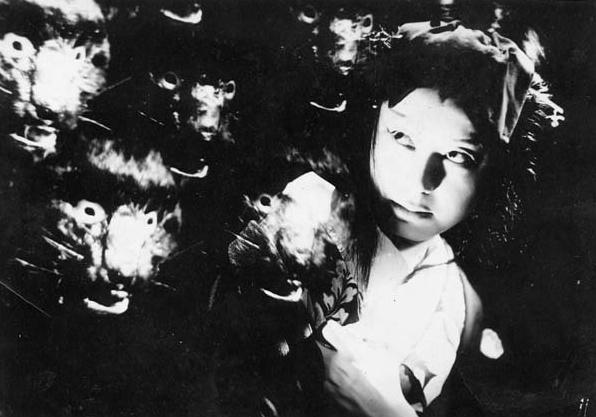 Zipangu Fest, a week-long season of Japanese cinema at London's ICA, looks like one to camp out at, with a Blair Witch/X-Factor mashup horror, documentaries about the mysticism of sound in Japanese religion, the Japanese nuclear industry, the nuclear disaster that inspired Godzilla and Hiroshima survivors, dark and uncanny Japanese animation and a seldom seen outing for The Ghost Cat And The Mysterious Shamisen (pictured), a 1938 pre-second world horror (before Japan banned them during wartime) by Kiyohiko Ushihara starring "scream queen" Sumiko Suzuki, with a cat that comes back from the dead to to help avenge a murder. 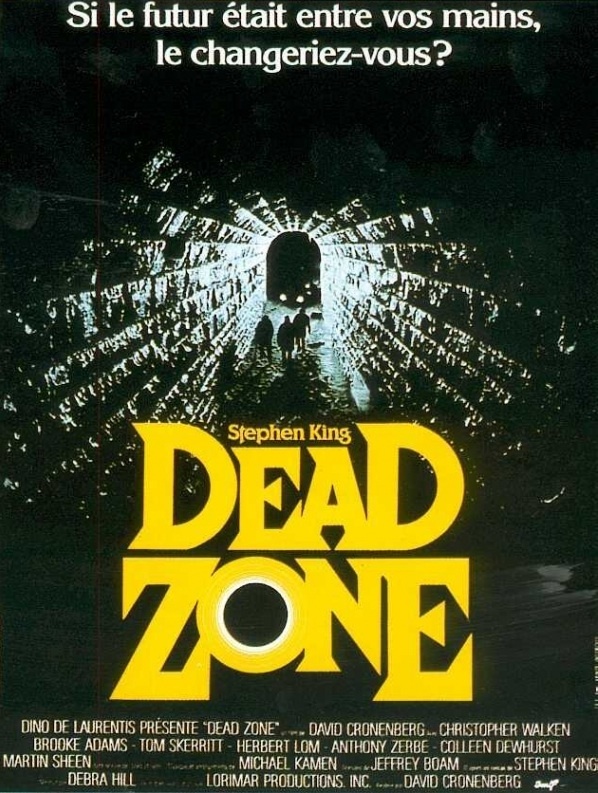 In Manchester, the third annual Grimm Up North weekend of horror, sci-fi and fantasy also has a rarely-seen cinematic jawdropper, with a screening of David Cronenberg's The Dead Zone (pictured), a supernatural thriller with Christopher Walken as a coma survivor with psychic powers who has to stop evil Martin Sheen from becoming president. That's right, Bartlett's bad! Walken's a good guy! Well, maybe, if Walken uses his powers right. Also worth looking out for is Martin Kemp's directorial debut, Stalker, a reworking of a 70s video nasty about a writer unsettled by a woman who claims to be her PA, and a premiere in the shape of The Whisperer In Darkness, the HP Lovecraft Historical Society's loving Lovecraftian homage, filmed as a 1930s-styled mythic alien creature feature.